How important are the following software initiatives in supporting your firm's current business goals? 58% answered 4 or 5. In conversations with clients, it's clear that as we exit the current recession and enter a new economy, firms are betting on knowledge workers to drive competitive differentiation in the same manner that they bet on technology to drive efficiency in the early to mid-90's. The trend is particularly strong in North America and Western Europe where big bets are being made on innovation, design and other differentiation that will derive from more efficient, better connected knowledge workers." More real-world market analysis from the Windows Live team. On a personal level, I’m currently moving from “filer” to “purger” – more precisely, I try to move useful information items in email messages to other tools, such as OneNote, that are more productive for ongoing information item management. I get seriously stressed when I lapse into “piler” mode due to email activity bursts, extended periods of time off-line, etc. ; my goal is to have my various unread email counts at zero by the end of each day, but that takes a major time and attention commitment. I anticipate the near-term availability of OneNote 2010, with its richer information item management capabilities, shared notebook support on Windows Live SkyDrive (and SharePoint), and effectively anywhere (network-connected) access via OneNote Web App, will be a big help in my personal information management routine. When we looked into how people used email, we found some interesting patterns. It turns out that there are generally three types of people when it comes to email: pilers, filers, and purgers. Piler: “I generally don’t put email into a folder or archive. I don’t delete it. I just let it pile up in my inbox." As people continue to expect easy access to content in every aspect of their on-the-go lifestyle, it’s fueling a demand for more sophisticated in-car, and now in-truck, infotainment systems. We’re seeing more and more car – and now truck manufacturers – responding by using technology as a competitive differentiator. We believe we and our partners in the automotive industry are at the center of this innovation and are ready to meet this consumer demand. The researchers found that about 2.5 percent of the college students they studied were able to simultaneously talk on the phone while navigating in a driving simulator. By comparison, the other students in the study saw their driving performance on fall 20 to 30 percent, according to David Strayer, a psychology professor involved in the study. A broad coalition of technology companies, including AT&T, Google and Microsoft, and advocacy groups from across the political spectrum said Tuesday that it would push Congress to strengthen online privacy laws to protect private digital information from government access. The group, calling itself the Digital Due Process coalition, said it wanted to ensure that as millions of people moved private documents from their filing cabinets and personal computers to the Web, those documents remained protected from easy access by law enforcement and other government authorities. Epps predicted that the iPad will spur greater sales of electronic books, for example, and not just for the iPad, as more people use laptops or desktop computers to read them. The iPhone, because of the apps. By the way, I solved the problem of battery life and [the lack of] multitasking on the iPhone. Yeah. I just have two iPhones, so if the battery runs down on the first one, I can use the other. And if I'm talking on one, I can use the other one to look something up. You would not believe how much use I get out of that. Anyway, there I was, back in 2009, building the site, with the aid of the jolly retainers over at Scott Thornley + Company. They were plying me with oatmeal cookies, showing me wonderful pictures, and telling me what to do. “You have to have a Twitter feed on your Web site,” they said. “A what?” I said, innocent as an egg unboiled. To paraphrase Wordsworth: What should I know of Twitter? I’d barely even heard of it. I thought it was for kiddies. But nothing ventured, no brain drained. I plunged in, and set up a Twitter account. My first problem was that there were already two Margaret Atwoods on Twitter, one of them with my picture. This grew; I gave commands; then all other Margaret Atwoods stopped together. I like to think they were sent to a nunnery, but in any case they disappeared. The Twitterpolice had got them. I felt a bit guilty. So what’s it all about, this Twitter? Is it signaling, like telegraphs? Is it Zen poetry? Is it jokes scribbled on the washroom wall? Is it John Hearts Mary carved on a tree? Let’s just say it’s communication, and communication is something human beings like to do. In addition to saving files to a private location for your own personal use, you can also save files directly to shared folders on SkyDrive. Saving to a shared folder makes it easy for you to collaborate with others when working with Microsoft Word, PowerPoint, Excel, and OneNote. You no longer need to worry about whether or not the people with whom you are sharing your files will be able to open them, since the Office Web Apps will be available on Windows Live for everyone to use. You will also be able to collaborate more efficiently with others when you use the Office 2010 desktop applications to edit files saved on SkyDrive. We call this co-authoring, or collaboration without compromise. There’s only one version of the output AND you know when others are working on it with you. There’s no check-in/check-out required. No waiting your turn. No losing control of when you share your changes or when you see others’ changes. You can always edit the file at any time regardless of what edits others might be making to the file at the same time. Check out the links below to learn more about co-authoring with the Office 2010 desktop applications. Here's an amazing Facebook fact sheet from website-monitoring.com. Sure, Apple’s OS X competes with Windows, but Apple is clearly never going to license out its OS (after a disastrous attempt to do so in the 1990s when Steve Jobs was away), so its market share can only ever be as big as people buying expensive Apple machines. Apple simply cares more about profits and controlling the high end of the market, then going directly after Windows. And actually, if both were smart and could bury the hatchet, Microsoft and Apple might be wise to team up. Google is now clearly an enemy for both of them. (Which is a bit odd, considering that it used to be Apple and Google teaming up in a major way to take on the shared rival, Microsoft.) If Microsoft really wants to compete in search, for example, their best move may be to strike a deal with Apple to become the default on the iPhone (and iPad). Recently, we surveyed 2,000 people in the US, where nearly 10 million additional people have started to use Hotmail actively over the last year [for a total of over 369 million active Hotmail users worldwide]. Our goal was to refresh our understanding of how people use their personal email accounts, particularly in this day of heavy usage of social networks for communications. We surveyed people who use AOL, Gmail, Hotmail, and Yahoo! Mail – 500 people for each service. Here’s a bit of what they shared with us. Naturally, if you're paying for you own femtocell, you might feel proprietary about it, which is why they come with features to keep your neighbors from sponging off your network. But this, too, is backwards thinking. The carriers should be encouraging your neighbors to use your femtocell. Again, it's all the more network capacity they don't have to route through the cell towers. And if the carriers were paying for the femtocell in your home, you wouldn't feel so proprietary about sharing the network. Granted, it's your broadband connection they'd be degrading by playing Farmville on their iPhones. But again, if your carrier is buying you a femtocell, you'd probably be coming out ahead. "Social networking spam may be more dangerous than regular old spam because it creates a trust factor not available through blindly sending out mass e-mail," says Garth Bruen, creator of software called Knujon, which classifies and tracks spam. By mining social networks, he says, criminals can get access to personal details such as where a person lives, where they go out to drink, or what movies they like. "It is very good intel for establishing trust with strangers," he says. Though Bruen notes that working within a social network costs spammers more resources than traditional methods, he believes the payout could be much bigger. Media groups have faced the dual challenge of developing new apps for the iPad and ensuring their existing websites work well with the device. A majority use Adobe’s Flash technology to show video, but the iPad does not support Flash and will produce error messages and blank sections of pages where Flash video is supposed to appear. Brightcove, a cloud-based video platform for publishers, is announcing a technology fix to render video in HTML 5, a standard the iPad does support, rather than Flash, for its 1,400 customers, including Time and the New York Times. It’ll be fascinating to see how this plays out over the next few months. I’m looking forward to Windows 7-based tablets, in part to run OneNote 2010. Apple’s touchscreen iPhone was far ahead of the competition when it launched, but the iPad will have to fight for its place among dozens of other tablet computers that are likely to appear on the market this year. With its similar design to the iPhone, it is already assured of a status that should make it stand out from the pack, but competitors have other features available to exploit its weaknesses. Nonetheless, a significant number of people took advantage of Google’s newly unfiltered service on its first day of operation. There were about 2.5 million searches for phrases containing “Tiananmen” and about 4.7 million searches for the banned religious group “Falun Gong,” according to estimates based on data from the Google Trends and Google Keyword Tool Box. But these are tiny numbers compared with almost 400 million Chinese Internet users, and search activity quickly returned to average levels over the next few days. For nearly two weeks, environmental activists have been using social media to wage war against Nestlé over its purchases of palm oil for use in KitKat candy bars and other products, catching the Swiss food giant off guard. Protesters have posted a negative video on YouTube, deluged Nestlé's Facebook page and peppered Twitter with claims that Nestlé is contributing to destruction of Indonesia's rain forest, potentially exacerbating global warming and endangering orangutans. The allegations stem from Nestlé's purchases of palm-oil from an Indonesian company that Greenpeace International says has cleared rain forest to establish palm plantations. For now, Microsoft seems to be staring down the Google threat, especially with large business customers. Riding on the tailwind from sales of Windows 7, a new version of its flagship operating system, Microsoft recently beat Google with Office-related business deals at General Motors Corp. and Starbucks Coffee Co.
"When we're there competing, we win," said Stephen Elop, president of the Microsoft division that includes Office. Mr. Elop recently helped woo GM to use SharePoint software to run GM's internal Web site, a deal for which Google was also being considered. "Reading AT&T's announcement that the nationwide rollout of its femtocell product--called the Microcell 3G--is about to begin called into sharp relief the level at which I expect to get screwed by the phone company. About halfway through decoding the PR doublespeak, I had an epiphany. It was if I suddenly saw the words on the page for the very first time. I'm so used to the phone company selling me services I don't need at a price that's unreasonable (bordering on ludicrous) that I'd moved beyond apathy to blind acceptance. Let's break down the femtocell announcement, one paragraph at a time.�"
The mechanics of the transfer aren’t entirely clear. As Patent Authority, which first spotted the new assignment, notes, Apple (AAPL) challenged the validity of the mark last September. Only 8 more shopping days to be completely wrong about the iPad. By this time a week from tomorrow, those of us who are confident that the iPad will be the same sort of enormous disruptive event will be busy enjoying the birth of a new millennium. Everybody else will just have to buy a clue. Oracle said on Thursday it had seen a rebound in a key measure of new software licence sales, reinforcing Wall Street’s hopes that a broader rebound in the technology sector had picked up steam in the early months of this year. At the same time, Larry Ellison, chief executive of the US software company, stepped up his war of words with German rival SAP, which recently replaced its own CEO. “We think SAP is vulnerable,” Mr Ellison said, adding that he believed Oracle now had a chance to overtake SAP in business applications software. 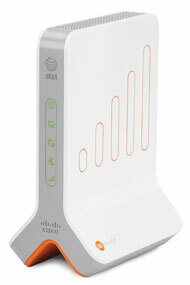 The 3G MicroCell works by tapping into an existing DSL or cable Internet connection and essentially becoming a mini-tower on AT&T’s 3G network. The signal on the device can cover an area up to 5,000 square feet, and it gives access to up to 10 AT&T phones, four of which can connect to it simultaneously. The device can also be moved around to different locations. AT&T is already expanding its selection of products in the nascent tablet market. In addition to the upcoming Apple iPad, AT&T will market a tablet based on a future version of Intel's Atom processor. At the CTIA trade show in Las Vegas this week, AT&T announced a tablet that will run, like the iPad, on its 3G broadband network. The tablet is based on a design from Boca Raton, Fla.-based OpenPeak, which designs and develops products for companies like Verizon and Telefonica--two of its current customers. To start we wanted to focus on doing more to help users with the tasks they turn to search to help them with. Our research showed that 42% of sessions require refinements, searching sessions are getting longer, and we see that many of those refinements happen when trying to complete common tasks. At launch, we introduced Quick Tabs in the Explore Pane (left rail) to give customers 1-click tools to help refine queries and help them go from question to decision. For example, when planning a trip, Quick Tabs anticipate the intent of the task a customer wants to accomplish and provide shortcuts for key planning activities such as weather, events, and maps. These quick tabs adapt based upon the user intent, and match the things you would expect when looking for a travel destination. The goal is to help you make a more informed decision with less time and effort. The Line2 app is a carbon copy, a visual clone, of the iPhone’s own phone software. The dialing pad, your iPhone Contacts list, your recent calls list and visual voice mail all look just like the iPhone’s. Google could never possibly be allowed to win in China, and they knew it. Curious how IBM’s enthusiasm for open source is apparently situational – e.g., perhaps limited to domains in which IBM doesn’t currently have monopoly power/profits. Check the full article for some related IBM tactics in this context. IBM is facing another antitrust complaint around its mainframe business, this one in Europe. Officials with TurboHercules SAS, which offers an open-source mainframe emulator that lets businesses run mainframe applications on less expensive non-mainframe systems, said March 23 that they’ve filed the complaint with the European Commission, the European Union’s antitrust arm. The complaint alleges that IBM is unfairly tying its mainframe operating system, the z/OS, to its System z mainframe systems. As much as a newly reformed sinner deserves congratulations and support, jumping straight into the pulpit is a bit unseemly. If you’re going to preach about the righteous path, it would help if you’ve been on it for more than 24 hours. Google was right to tell China’s censors to do their own dirty work (see “Google to China: Your move“), but that was only after four years of being wrong (see “It’s like watching little Anakin grow into Darth Vader“), so it ought to be careful about playing the holier-than-thou card just yet. A high-profile Communist Party newspaper skewered Google in a front-page story. And more of its partners and advertising customers in the country appeared to be distancing themselves from the company. China's second-biggest mobile phone company is scrapping plans to use Google's search function on two new phones, while the country's most popular Internet portal is reviewing its partnership with Google, executives said Thursday. Google, based in Mountain View, California, still hopes to expand its non-search operations in China, but its refusal to play by the government's censorship rules could make that unrealistic. By challenging the often tetchy government, Google appears to have violated an unspoken rule of doing business in China, especially in the Internet industry - whose control Beijing sees as crucial to maintaining its authoritarian rule. A top Google executive on Wednesday called for rules to put pressure on governments that filter the Internet, saying the practice was hindering international trade. Alan Davidson, director of public policy for Google, told a joint Congressional panel that the United States should consider withholding development aid for countries that restrict certain Web sites. He said censorship had become more than a human rights issue and was hurting profit for foreign companies that rely on the Internet to reach customers. A laundry list of open questions about Apple's iPad isn't keeping magazine publishers and advertisers from lining up for the launch of the tablet computer next week. Time magazine has signed up Unilever, Toyota Motor , Fidelity Investments and at least three others for marketing agreements priced at about $200,000 apiece for a single ad spot in each of the first eight issues of the magazine's iPad edition, according to people familiar with the matter. When we launched Windows Live SkyDrive in August of 2007, we had the clear goal to make sharing easier and better for anybody on the Internet. But offering free storage to the world is a risky proposition – the list of services that have tried to do this and failed is long. So we took it slow, starting only in the US, offering just 500MB of storage at first, and focusing on a basic experience for uploading files. Over time, as we learned more about usage (and learned more about how to thwart various types of scammers and other evil people), we were able to increase the free storage, first to 1 GB, then 5 GB, and finally about a year ago to 25 GB of free storage. We were also able to expand into new markets. Today we’re in over 50 languages worldwide and more than 50% of our customers come from outside the US. Microsoft OneNote remains one of the best note-taking solutions around. It allows taking notes consisting of text, ink, images, links and more. What makes OneNote so powerful is the sophisticated search capability that makes it easy to find any nugget of information in an instant. About the only downside to OneNote is its incompatibility with mobile devices outside the Windows Mobile domain. That’s where MobileNoter for the iPhone comes in — it’s a simple note-taking app for the iPhone that syncs with OneNote on the desktop. Now it’s possible to take notes on the iPhone and have them appear in OneNote back home. Select OneNote notebooks can be synced to the iPhone for reference on the go. Google’s decision may not cause major problems for China right away, experts said. But in the longer run, they said, China’s intransigent stance on filtering the flow of information within its borders has the potential to weaken its links to the global economy. It may also sully its image — promoted to its own people as well as to the international community — as an authoritarian country that is economically on the move, perhaps even more so than the sclerotic, democratic West. The fact is, the way we use computers is outmoded. The graphical user interface that’s still part of our daily existence was forged in the 1960s and ’70s, even before IBM got into the PC business. Most of the software we use today has its origins in the pre-Internet era, when storage was at a premium, machines ran thousands of times slower, and applications were sold in shrink-wrapped boxes for hundreds of dollars. With the iPad, Apple is making its play to become the center of a post-PC era. But to succeed, it will have to beat out the other familiar powerhouses that are working to define and dominate the future. China sought to limit the political fallout from its stand-off with Google on Tuesday, calling it an individual commercial case. The foreign ministry denied Google’s move to stop censoring its local Chinese search engine would have any broader implications, just hours after the State Council issued an angry response saying the company had violated written promises. “I cannot see an impact on China-US relations unless someone wants to politicise that. I cannot see any impact on China’s international image unless someone wants to make an issue of it,” said Qin Gang, foreign ministry spokesman. An energy start-up backed by Microsoft Corp. co-founder Bill Gates is in discussions with Toshiba Corp. on developing a small-scale nuclear reactor that would represent a long-term bet to make nuclear power safer and cheaper. Toshiba said it is in preliminary discussions with TerraPower, a unit of Intellectual Ventures, a patent-holding concern partially funded by Mr. Gates. Intellectual Ventures, based in Bellevue, Wash., is run by a former Microsoft Corp. executive, Nathan Myhrvold. Duplessie suspects that Elliott wants some other technology company to make a larger bid, so Elliott can make a profit on its current Novell stake. But so far, no rival bidders have emerged. That doesn’t surprise Abhey Lamba, analyst at the ISI Group in New York. “It’s really hard to find a company that would benefit from all of the four components that Novell has,’’ said Lamba. Instead, he believes Elliott intends to take Novell private, then auction off its business units one at a time. Even when it was only a rumor, Apple’s iPad was being called a Kindle killer in some quarters. And while it’s true that Amazon’s popular e-reader could take a significant hit once the multi-talented iPad and its iBook store reach the market next month, that blow could end up being one of those “if you strike me down, I shall become more powerful than you could possibly imagine” situations. Instead of being killed by the iPad, the Kindle could be one of its killer apps. The most gossipy blogs take aim at public figures, combining two basic ingredients, scurrility and celebrity, and they deal in short jabs, usually nothing longer than a paragraph. They often appeal to particular constituencies such as Hollywood buffs (Perez Hilton), political junkies (Wonkette), college kids (Ivy Gate), and lawyers (Underneath Their Robes). Politically they may lean to the right (Michelle Malkin) or to the left (Daily Kos). But all of them conform to a formula derived from old-fashioned tabloid journalism: names make news. Cybercriminals have had great success over the past year hitting banks where their security is the weakest--on their customers' PCs. In 2009, online fraud losses doubled, according to FBI data. Now banks are starting to hit back, focusing not only on the security of their own systems, but of their customers' systems. Last week, security firm Trusteer announced it would provide a service to banks that lets them remotely analyze computers belonging to customers who have been hacked. The Kindle app for the iPad, which Amazon demonstrated to a reporter last week, allows readers to slowly turn pages with their fingers. It also presents two new ways for people to view their entire e-book collection, including one view where large images of book covers are set against a backdrop of a silhouetted figure reading under a tree. The sun’s position in that image varies with the time of day. It was just announced that Mr. Tufte (pronounced tuff-TEE) would be going to Washington. Though often cast as a free-floating information guru, Mr. Tufte has a highly specific mission: on March 5, he was appointed by President Obama to a panel to advise the Recovery Accountability and Transparency Board, which monitors the way the $787 billion in the stimulus package is being spent. It’s hard to know under these circumstances exactly whom should be offered “good luck” wishes. Whether Springpad attracts a critical mass of customers, Bajarin said, the information overload spawned by the Internet will demand Web-friendly organizers. Microsoft's business is under attack by Google, Apple and others. But there's one place where the software giant still rules supreme: Patents. According to the Institute of Electrical and Electronics Engineers, Microsoft's patent portfolio ranked the strongest in the software industry for the third straight year. According to the report, Microsoft was way out in front of its competition, with 2,918 patents granted last year. The next closest competitor in the software group was Oracle, which showed just 338 patents. In a blog post, Microsoft's Bart Eppenauer wrote that the IEEE's ranking -- along with other recent surveys from Forbes and the Patent Scoreboard showing Microsoft' strong patent position -- indicates that the software giant's "focus on high-quality patent protection is working." Novell also said its board was considering alternative ways to increase its value to its shareholders, including a stock buyback, a special cash dividend, joint ventures and alliances with other companies, a recapitalization and an outright sale of itself. Now, with the ubiquity of instant messaging and e-mail, the growing popularity of Twitter and YouTube, and even newer services like Google Wave, velocity and efficiency have become even more important. Wi-Fi, on the other hand, has never been more abundantly free, with tens of thousands of U.S. stores, airports, and other venues providing Internet access often at higher speeds than 3G networks wherever you can find a seat. Outside the U.S., it has been harder to find free Wi-Fi, but that's changing, especially in Europe. Wi-Fi's biggest problem is that it's not everywhere. But it's generally convenient. Options for free Wi-Fi in the Northwest and across America have exploded in the past several weeks, mostly because of McDonald's decision to go free. But there are plenty of other options, too. There's really no way to sugarcoat this: Palm is heavily leveraged in a fiercely competitive market and unable to generate interest for a well-received product as it burns cash amid mounting inventory. That's a whole lot of bad stuff to deal with at one time. Palm's stock was down 26 percent in midday trading Friday. Financial analysts are recommending that their clients dump the stock while there's still time. Two went so far as to cut their target price for the company's stock to $0, essentially declaring it worthless. Evernote, a maker of software that helps users organize and store documents, was similarly rejected and is nevertheless working on a version of its app for the iPad. "We've never actually touched one," says Evernote CEO Phil Libin. Evernote sells an app for the iPhone and has been working on a version for the iPad since before Apple Chief Executive Steve Jobs unveiled the device on Jan. 27. If America’s facilities-based system were really working, the country would at the very least enjoy first-rate broadband in dense urban areas where providers are most likely to recoup their investments quickly. Yet in February the Saïd Business School at Oxford and the Universidad de Oviedo released a study, funded by Cisco, that produced a broadband quality score based on bit volume and speed, mapped against current and probable future applications. Chicago, America’s best-performing city, ranked 26th, below Sofia and Bucharest. No American city was judged “ready for tomorrow”. Among countries America ranked 16th, which is roughly where it falls on almost any available measure of broadband penetration or quality. That is not good enough. It’s a question being asked a lot these days as couples, who once had to leave the house to fight in public, take their arguments onto Facebook. Whether through nagging wall posts or antagonistic changes to their “relationship status,” the social networking site is proving to be as good for broadcasting marital discord as it is for sharing vacation photos. At 400 million members and growing, Facebook might just replace restaurants as the go-to place for couples to cause a scene. Google and a group of telecommunications companies are about ready to turn on a fast Internet cable running under the Pacific Ocean from the U.S. to Japan, increasing bandwidth by about 20 percent and giving Google its own connection to Asia. The Unity Consortium, which consists of Google, Bharti Airtel, Global Transit, KDDI, Pacnet, and SingTel, has nearly completed the testing of the $300 million project. Internet users in Asia will start seeing faster Internet speeds over the next several months from the new cable, which has the potential to create a 7.68Tbps (terabits per second) connection under the Pacific. But in the 100-page document filed by Google, perhaps not surprisingly, the search engine tells a different story. Viacom is painted as a media giant trying to play it both ways: demanding that YouTube take down videos even while third parties were uploading Viacom content on the entertainment giant's behalf. More intriguingly, the parent company of MTV and Paramount Pictures was at one point interested in acquiring the video-sharing site, according to the documents. "We believe YouTube would make a transformative acquisition for MTV Networks/Viacom that would immediately make us the leading deliverer of video online, globally," according to an internal Viacom slide that Google filed with the court. Apple has narrowed the device's scope. It has put on hold its idea to offer TV subscriptions that would be viewable through the iPad, because few media companies were interested. Instead, Apple is discussing dropping the price of TV shows to 99 cents from the $1.99 and $2.99 charged for most shows on its iTunes store, said people familiar with the situation. Apple hasn't yet reached a deal with many major TV producers on the price cut, these people said. Some are concerned a price cut could hurt their existing businesses, these people said, including jeopardizing the tens of billions of dollars in subscription fees they are paid by cable and satellite companies for their traditional TV networks. Google executives referred to YouTube as a "rogue enabler of content theft," whose "business model is completely sustained by pirated content" in internal communications before going ahead with the 2006 purchase of the video site, according to documents unsealed today in Viacom's $1 billion copyright lawsuit against Google. As part of its lawsuit, Viacom charged in a motion for summary judgment filed today in U.S. District Court in New York that the Mountain View Internet giant "abandoned its own anti-piracy practices and instead embraced YouTube's illegal business model." "In every case, they denied the severity of the problem and said the science was uncertain," Oreskes said. "It was always the same argument. They always used the tobacco strategy and said it would be wrong for the government to interfere with the marketplace. It was all about using this play from the tobacco playbook." We know the tactics, funders and mission of climate crisis deniers. It is our job to combat and debunk their skepticism at every turn. Incidentally, Oreskes has an important book that will be published soon, titled Merchants of Doubt: How a Handful of Scientists Obscured the Truth on Issues from Tobacco Smoke to Global Warming. My relationship with Google News has always run hot and cold. No make that cold and tepid. From the very beginning of Google News as an experiment back in 2001, they refused to index my work, which they said was my fault, not theirs (“they” being an algorithm attached to an e-mail box, of course). But new evidence has recently come to light suggesting to me that Google News has an actual blacklist. Social networking website Facebook has capped a year of phenomenal growth by overtaking Google’s popularity among US internet users, with industry data showing it has scored more visits on its home page than the search engine. In a sign that the web is becoming more sociable than searchable, research firm Hitwise said that the two sites accounted for 14 per cent of all US internet visits last week. Facebook’s home page recorded 7.07 per cent of traffic and Google’s 7.03 per cent. Viacom filed a $1 billion copyright complaint three years ago against Google, accusing the search engine of profiting from and encouraging copyright infringement on YouTube. Google denied the allegations and said the Digital Millennium Copyright Act protects the company and all Internet service providers from liability for infringing activity by users. On Thursday, we'll get to see what kind of documentation the two companies possess to support their claims. Sources close to the case said in October that information cropped up during the discovery process that is "potentially embarrassing" to both sides. Google Inc. has lined up some big partners—including Intel Corp. and Sony Corp.—in the Internet giant's recent quest to move its technology into the living room, people familiar with the situation say. The joint effort, which is in its preliminary stages, includes software to help users navigate among Web-based offerings on television sets and serve as a platform for other developers to target in creating new programs, these people say. The technology could be included with future TVs, Blu-ray players or set-top boxes, they added. Terrorists and racists are turning to online social networks and depending less on traditional Web sites, according to a new report on digital terror and hate speech. The report, by the Simon Wiesenthal Center, found a 20 percent increase in the number of hate and terrorist-abetting Web sites, social network pages, chat forums and micro-bloggers over the last year, to a total of 11,500. Computer scientists and policy experts say that such seemingly innocuous bits of self-revelation can increasingly be collected and reassembled by computers to help create a picture of a person’s identity, sometimes down to the Social Security number. AT&T's involvement in the new Nexus One appears to be minimal, however. The carrier isn't selling or subsidizing the phone, so it's only available from Google at its full price of $529. That's far more than the $179 buyers would pay for a Nexus One subsidized by T-Mobile or the $99 starting price of an iPhone subsidized by AT&T. Both of those deals require two-year contracts. "We'll accept a compatible device on our network," AT&T spokesman Fletcher Cook said. He wouldn't say whether the carrier and Google had discussed the new phone. US law enforcement agents are following the rest of the Internet world into popular social-networking services, going undercover with false online profiles to communicate with suspects and gather private information, according to an internal Justice Department document that offers a tantalizing glimpse of issues related to privacy and crime-fighting. Think you know who’s behind that “friend’’ request? Think again. Your new “friend’’ just might be the FBI. On February 21, 2008, I posted on Microsoft Interoperability Principles, which are designed to make our products more open and more available to the broader software community. Since that day, Microsoft has made several strides in this area, too many to recount here and now, but largely explained by the Interoperability@Microsoft team. Today we are making an important advance in the area of document format interoperability for Office, as part of our ongoing commitment to these interoperability principles. After four successful Technology Previews, today we are releasing the 2.0 version of the Open XML SDK for Microsoft Office. Among its benefits, this release of the Open XML SDK is a significant step forward because of the amount and quality of functionality it provides to developers seeking to build document processing solutions without the use of Microsoft Office applications. A keynote interview with Evan Williams, Twitter’s chief executive, created a stir during the South by Southwest Interactive conference here on Monday — but it may not have been what conference organizers had in mind. After introducing a new platform intended to help Twitter extend its reach across the Web, Mr. Williams was interviewed on stage by Umair Haque of the Havas Media Lab. Many attendees soon became restless and took to the tool Mr. Williams helped create to vent their frustration with the interview. 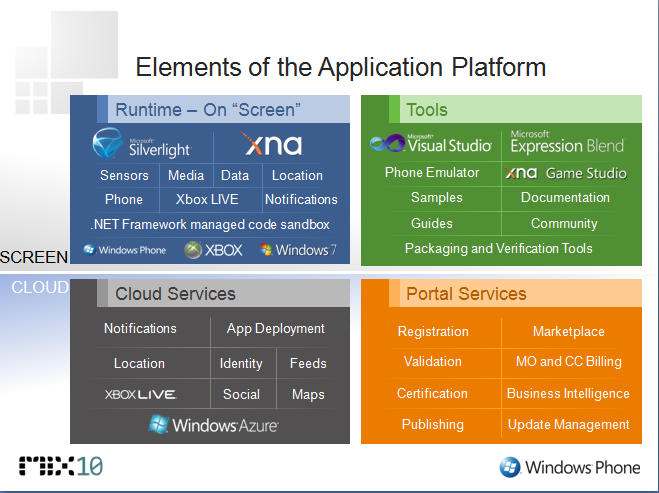 All the latest from MIX10 is available at http://live.visitmix.com/press, including downloads of tools for Windows Phone 7 Series, the Silverlight 4 RC and Expression Blend 4 Beta, which will be available today. Why Buzz was not called beta from the start is due to semantics. Because it's tied so closely with Gmail -- almost as a feature akin to the chat tool -- it seemed awkward, Jackson said, to label it differently. "We started questioning the very meaning of the word 'beta,'" Jackson said. Google still has some beta software out there -- Web apps like Scholar, browser extensions and popular versions of the Chrome browser itself. But it appears the company is being more selective about what gets the beta excuse. While Google Inc.'s budding rivalry with Apple Inc. has largely been a tight-lipped affair managed through legal and regulatory channels, one of the Internet giant's newest hires isn't being shy about airing grievances. Tim Bray, a software developer employed until recently at Sun Microsystems Inc., said Monday he has joined Google as a "developer advocate" with a focus on the company's Android operating system. And he wasted no time decrying Apple's vision of the cellphone market and strategy for the iPhone. I think they're wrong and see this job as a chance to help prove it. "I'd had an offer to stay with Oracle which I decided to decline," Bray said. "I'll maybe tell the story when I can think about it without getting that weird spiking-blood-pressure sensation in my eyeballs." Google's CEO went to Abu Dhabi this week and preached. He sermonized about Google's exceptional virtue — its indifference to profit and supreme trustworthiness. His speech should have been shocking. Except that delusional self-righteousness is now routine at Google. That being said, competition is good for the industry, and Apple's rumored embrace of Microsoft will boost the competition between Microsoft and Google and keep things very interesting. It's still sad that two great and innovative companies are at odds. And even sadder that Apple is letting spite trump business judgment, and closing their phone even further from the open web. In the end, if the iPhone fails, it will be because closed systems have weaker adoption dynamics than open systems, not because Eric Schmidt betrayed Apple. So what will happen to Palm now? Misek thinks the company could keep spending its cash — it had $590 million at the end of its most recently reported quarter — and run out of gas in a year or two. Or it could try to conserve funds and angle to be bought out. But Misek thinks a buyer could be dissuaded by the year or two it might take to get webOS working on new phones. Kaufman Bros. analyst Shaw Wu thinks Palm could be purchased in the next year by a company such as Motorola or Dell. That would give those companies their own smartphone software. Ultimately, Wu thinks the smartphone market will look like the PC market, which was crowded with competition early on but eventually produced a short list of winners and a smattering of losers. "Palm's almost on that list of losers," he said. The April 11 event, eight days ahead of the film’s television broadcast on April 19, will be the first time a major broadcaster has introduced a full-length documentary on the site, according to “American Experience” executives. It will use a new “social screening application” created by Brand Networks. This model, which may be more attractive than tracking because it gives people more choice in revealing their locations, is gathering speed in the Internet industry. Yelp, the popular site that compiles reviews of restaurants and other businesses, recently added a check-in feature to its cellphone application. And Facebook is expected to take a similar approach when it introduces location features to its 400 million users in coming months. If checking in goes mainstream, it could give a lift to mobile advertising, which is now just a tiny percentage of overall spending on online ads. If a company was able to pitch offers to people who say they are at a particular spot, it would “allow for the sharpening of mobile advertising,” said Anne Lapkin, an analyst at the research firm Gartner. A prime example is Siri, a startup that launched this February. The company was spun out of SRI International, a research organization based in Menlo Park, CA, commercializing technology developed as part of the CALO artificial intelligence project. The company offers a virtual personal assistant with impressive voice recognition, learning capabilities, and the capacity to interact with many different apps. Its founders describe Siri as "the mother of all mashups with a big brain in the front." Other startups on the Accelerator list have less heavy-duty academic research backing them, but they are also trying to harness rapidly maturing areas of artificial intelligence. "People are looking to simplify their lives," Valentine says, and new companies are hoping to strike it rich by helping them do that.